Poverty in the United States is getting worse. It’s getting deeper, since more and more people are affected, and it’s getting wider, making its presence felt in the vast suburbs of America. And this took place before the current crisis expanded the ranks of the impoverished across the country. 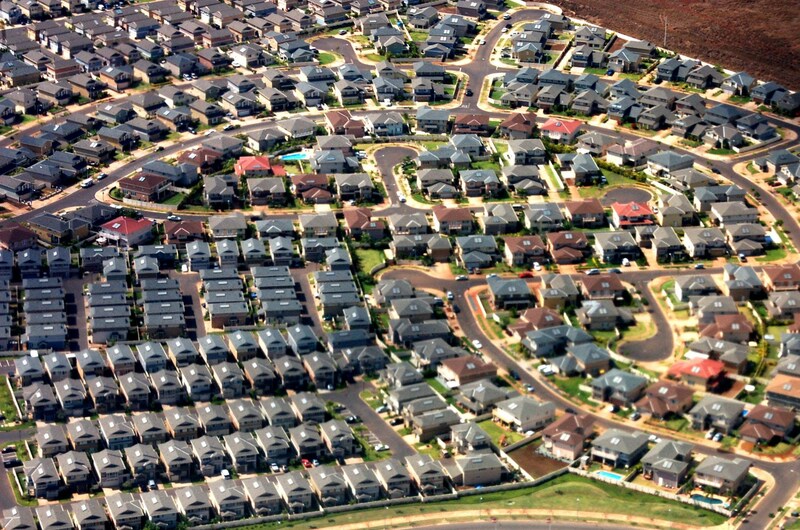 Publicity for the new study by Elizabeth Kneebone and Emily Garr, “The Suburbanization of Poverty: Trends in Metropolitan America, 2000 to 2008,” focuses on the fact that, by 2008, suburbs were home to the largest and fastest-growing poor population in the country. But, before getting to that, it’s important to note that the study also documents a worsening of poverty for the country as a whole, and the persistence of poverty in the country’s cities and rural areas. The number of poor people in the United States grew by 5.2 million from 2000 to 2008, so that by 2008 more than 39.1 million people were living in poverty (Table 1). That represents an increase of 15.4 percent in the poor population—almost twice the growth rate of the population as a whole since 2000. If we look at the “near-poverty” figures, 91.6 million people—more than 30 percent of the nation’s population—fell below 200 percent of the federal poverty level in 2008. In fact, more individuals lived in families with incomes between 100 and 200 percent of poverty line (52.5 million) than below the poverty line (39.1 million). 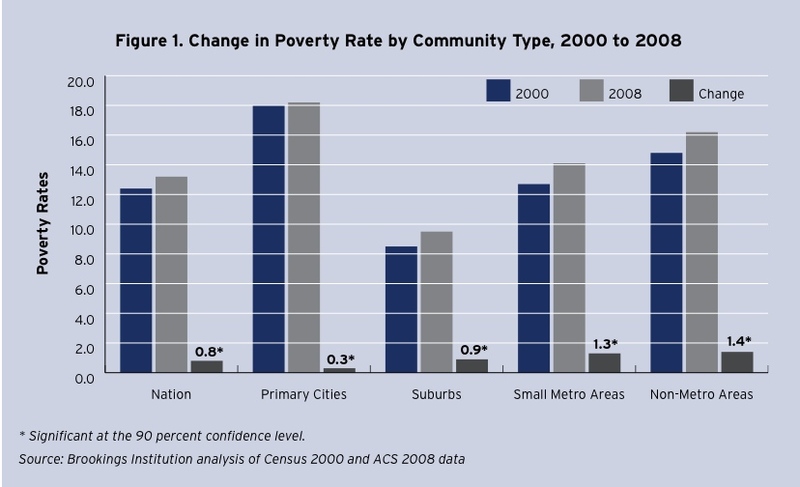 By 2008, suburbs were home to the largest and fastest-growing poor population in the country. Between 2000 and 2008, suburbs in the country’s largest metro areas saw their poor population grow by 25 percent—almost five times faster than primary cities and well ahead of the growth seen in smaller metro areas and non-metropolitan communities. As a result, by 2008 large suburbs were home to 1.5 million more poor than their primary cities and housed almost one-third of the nation’s poor overall. The report confirms that, during the 2000-08 period, the widening and deepening of capitalism were also accompanied by the growth and spatial dispersion of poverty in the United States. We are therefore faced with the growth of poverty overall, the persistence of high levels of urban and rural poverty, and now the rapid expansion of poverty in the suburbs. There is no more serious indictment of capitalist development in the United States.